Pioneers in the industry, we offer low density polyethylene tube from India. 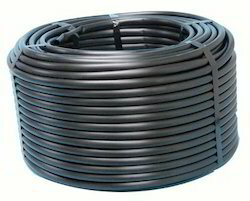 We own a rich experience in dealing with Low Density Polyethylene Tubes . They are specifically designed according to their use in the commercial places. We offer supreme quality Low Density Polyethylene Tubes at thrifty prices. Our product ranges have supreme strength and easy installation.